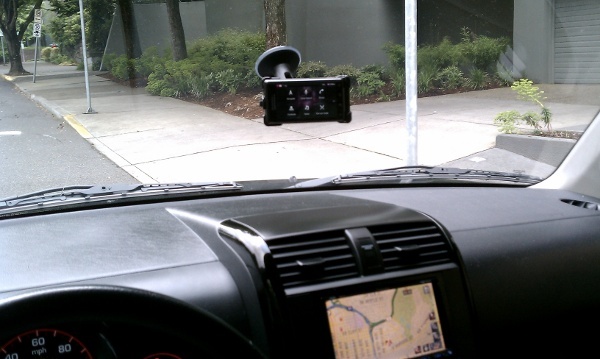 We probably should have reviewed one of these 9 months ago, but we just got one from the guys at Wireless Ground who were thoughtful enough to send us an official Motorola Droid car mount to check out; a quick review was definitely needed. 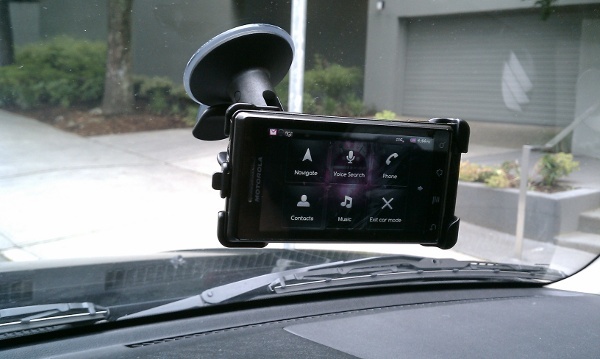 If you haven’t picked one up yet, I’ve got to say that it’s actually a pretty solid little car mount. I’m also loving the new Froyo car app on it! (Pictured above.) Oh, and Google Maps trumps outdated Pioneer navigations any day. My one issue: the camera is covered while mounted and limits the use of some great 3rd party navigation software like Wikitude Drive. Deal breaker? Maybe, but again, Google Maps is so top notch. Thoughts on this car mount? Any others out there worth reviewing? Anyone tried the Seidio car mount?